Let it snow, let it snow, let it snow. Here in northern Utah, we experienced our first snowfall of the season this week. To celebrate, I thought I would doodle up some fun little snowflake motifs. These hand drawn snowflakes are just what you need to accent all your wintery designs! I enjoy doodling lots of different things (as you probably know, based on all the other free graphics I have available on my site), but snowflakes have to be one of my favorite! I love working with their individual qualities, and coming up with ways to bring a new style/feel to each one. Plus, I enjoy the extra sprinkle of uniqueness each one has because of their hand drawn nature! This is the second installment of hand drawn snowflakes I’ve done. 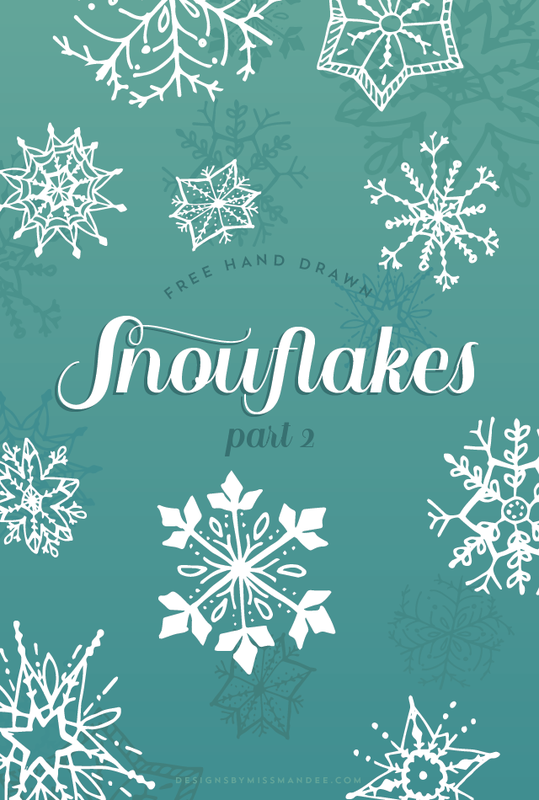 If you missed part 1, be sure to check it out—even more snowy goodness for your collection of hand drawn graphics! Have fun implementing these lovely little snowflakes into your next design! And happy holidays!